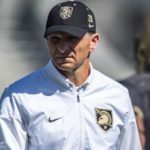 Linked below is one of the best articles I’ve read in a while. 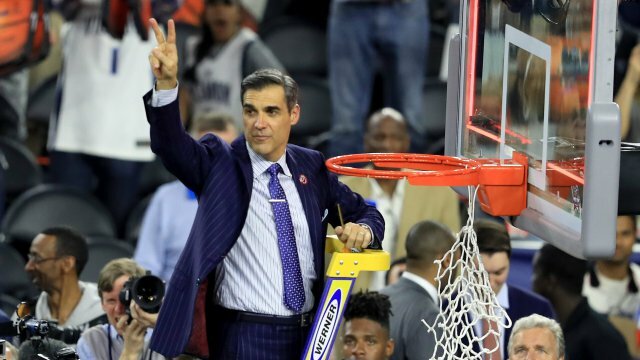 Washington Post’s Barry Svrluga spoke to Jay Wright about the lull the Villanova program experienced after Wright’s first Final Four trip in 2009. 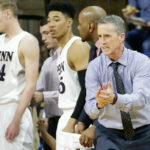 The three years that followed that run included a single NCAA Tournament victory (a first round come-from-behind win over 15th seeded Robert Morris) and bottomed out with a 13-19 record in 2011-12. Wright noticed that in the wake of the Final Four, he had allowed his program to get away from what got them there. 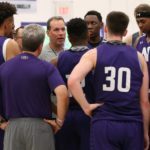 He choose to double down on the standards of ‘Nova basketball and the Wildcat’s recent success (culminating in last season’s National Title) followed. “One of the things I’ve learned along the way,” he said last month, “is how fragile this all is.” He found out, after 2009. Now Jay Wright has two additional experiences in his rearview mirror: a national championship and 13-19. With Villanova poised to make another run, it’s hard to say which is more important in determining how Wright will handle each step going forward.